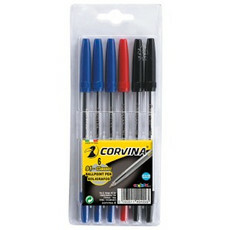 Pack of 6 Ballpoint Pens: 3 Blue, 2 Black, 1 Red. 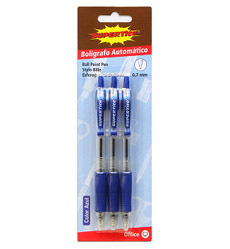 Pack of 3 Retractable Blue Ballpoint Pens. 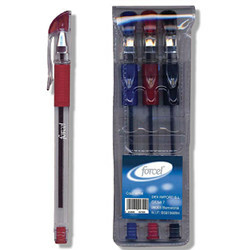 Pack of 3 Ballpoint Pens: 1 Blue, 1 Red, 1 Black. 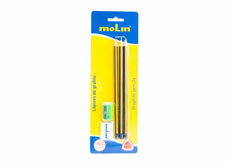 Pack of 10 Retractable Black Ballpoint Pens. 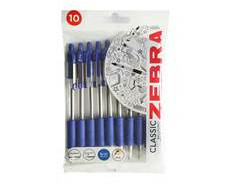 Pack of 10 Retractable Blue Ballpoint Pens. 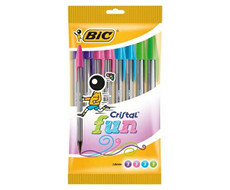 Set of 10 BIC Ballpoint Pens: 2 Mauve, 3 Pink, 3 Light Blue, 2 Light Green. 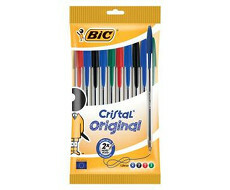 Set of 10 BIC Ballpoint Pens: 4 Blue, 2 Black, 2 Red, 2 Green. Set of 10 BIC Black Ballpoint Pens. Set of 10 BIC Blue Ballpoint Pens. 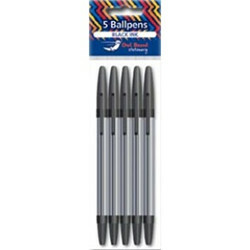 Pack of 5 Black Ballpoint Pens. 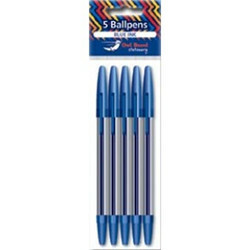 Pack of 5 Blue Ballpoint Pens. 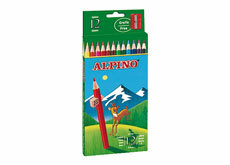 Plastic Pencil Sharpener & Eraser included. 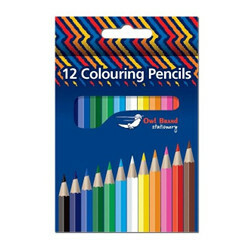 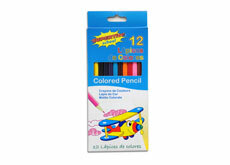 Pack of 12 Half Length Colouring Pencils.